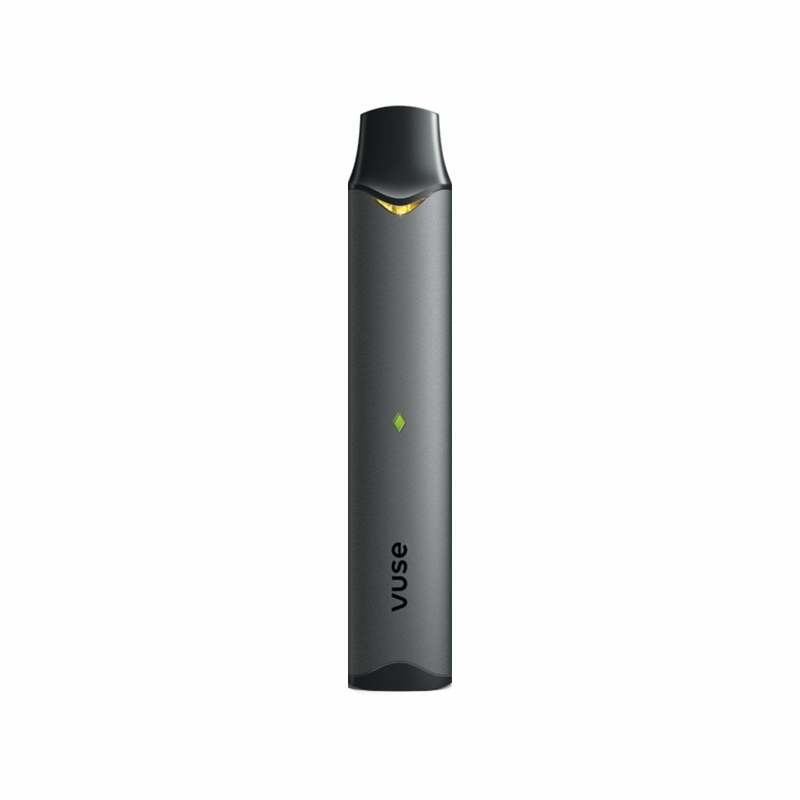 The Vuse Alto is sure to be a crowd favorite as it combines stealth, ease of use, and great flavors like its predecessors the Vuse Vibe and Vuse Ciro. I would have to say that this has saved me from cigarettes I was able to quit smoking using this product and I never thought I’d be able to quit I tried everything from prescriptions to cold turkey and nothing helped until I had the Vuse alto menthol that taste just like Newport cigarettes to me all I have to say is thank you four this product . im having terrible problems with this unit. i buy 2-3 refills every couple weeks and i have at least 2 a month of the refill cartridges dont work! !need something else. I used it for a day before I couldn't stand it anymore, and switched back to Juul. It's built well, battery lasted a full day, and it hits perfect every time. But the flavors are horrible, burn, and leave a disgusting burned taste in your mouth. I tried three different flavors and four different pods, all the same disgusting burning thing. Like burnt pancakes and farts. I tried to return it to manufactured, they wouldn't process a return, they sent me coupons for the bad pods, even though every one of different flavors was bad. It's an awesome concept for a mod kit, but don't waste your money. I'll give you mine, and some useless coupons. It hits maybe 1 out of every 20 attempts. There is no trick that makes it work consistently. Sometimes it’ll work by pushing it in harder, sometimes by pulling it out slightly, sometimes by hitting harder, sometimes softer, usually not at all. I did some research, found out the pods are likely the problem. This is my 3rd pack of pods and still same problem. It just blinks. Sources say to call customer service and they’ll give a refund. It’s nice that they’ll do that, but doesn’t solve the problem. Also, they don’t answer phones on sundays, which is bad customer service. I stopped smoking cigarettes are using the Alto. I have probably bought five starter kits in five months because they all start to Give the juice a burnt flavor. Don’t waste your money. I currently switched from Juul to this. First I would like to say that the Juul is not perfect (Juul users ya know the deal) and has its drawbacks. However in my opinion the biggest drawback is the cost of the pods (way too much money)! Now as far as the Vuse Alto goes, this thing is trash. I read the reviews and decided to give it a shot anyways. I’ll start with the positives, great battery (3 days for me), about 1hr to charge, you can vape while charging, smooth and absolutely quiet hits, and the draw hits hard! Now for the negatives, I used 5 pods and every single one leaked juice into my mouth (very little to a lot at times) about 50% of the time. The pods would then at times feel clogged. I could still get a decent hit but it wasn’t anywhere near of what it’s capable of doing. Then the pen would blink halfway through the draw as if the battery was dead. That would just happen completely randomly. After dealing with all that the pen just died. It does nothing. I purchased all of this exactly 30 days ago. I have two unopened pods that I am stuck with now. Vuse costumer care only offered me some garbage coupons that I am not interested in using. Word of advice, don’t waste your time or money on this product. The first hour was great then it started to taste extremely burnt and every cartridge after did the same thing. Most responsive I've used compared to JUUL, and many other pens. Terrible bought 2 same thing happened to both after first couple hits tasted burnt then quit working all together! Hands down I've tried blu and juul this is the best vapor product. The lady at the gas station hooked me up. The first like 20 hits were harsh now it's like smoking a cigarette. Without the smell and the second hand smoke. I loved it... until I charged it the first time and it stopped working.. bought a second, same story.. one charge and it never worked again.. waste of money. Alto is awesome!!! Best Vape ever!! Easy smooth pull. Mixed Berry pods are great my favorite. Best vapor!! I work at a gas station used a juul and spent too much. Got curious tried an alto and now months later battery still perfect and charger and down to one ciggerette a day. I feel as if this vape isnt popular because it's not the juul and hasnt hadcemented name yet at least what i have seen. Emailed and Called their support to report this , they are sending me a mailer to return the bad PODS and giving me coupons to purchase more of the PODS that they know are bad! No offer to replace what I have spent my money on. Ridiculous ! Unacceptable. I would AVOID this product until they have done some extensive testing and fix the problems that they know are happening in large quantities of their PODS. worked for less than 4 days. It spits in your mouth and I have went through four cartridges trying to get a rid of the horrible taste of burnt cartridge. ... I am not sure what it is but I do not think I am suppose to smoke it. This disposible is garbage. Started out awesome.... ended up garbage. My wife smokes berry, had 1 pod taste burnt in last month. I smoke original, has 2 batteries go bad, and every "original" package I buy has a slightly different color fluid and a majority of the time the coil shorts out, our burns up before canister is even quarter empty. Complete garbage. They also leak alot, constantly have juice in my mouth or all inside my pockets.